Summary of Apple Event 2015 – Apple Event was held on September 09, 2015 at legendary Bill Graham Civic Auditorium, San Francisco. This apple event was attended by people from across the world. This apple event focused on announcement of new product from several different categories. Let’s check with details of Apple Event announcement . Apple Watch was made available to customers around the world last month. The use of Apple Watch has made life easy as well as people using it have started loving it. They love how easy to respond and receive phone calls and notifications from favourite apps. The use of Siri on Apple Watch has been amazing feature which helps in getting direction as well as send quick message. Apple Pay allows customer to make payment at merchant directly from the wrist. Below is the feedback of an Apple Watch user. Customer satisfaction for Apple Watch is 97% which is really incredible. After the launch of Apple Watch in June the OS has been previewed to watchOS 2. 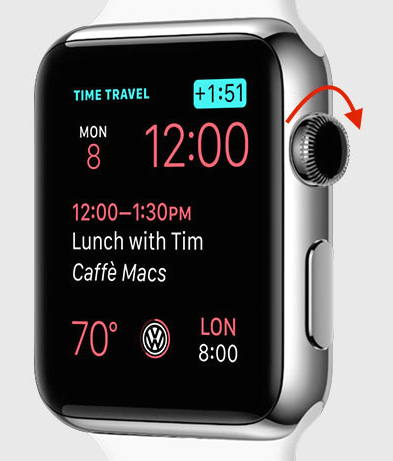 There are beautiful new watch faces with time transit and third-party complications features in watchOS 2. 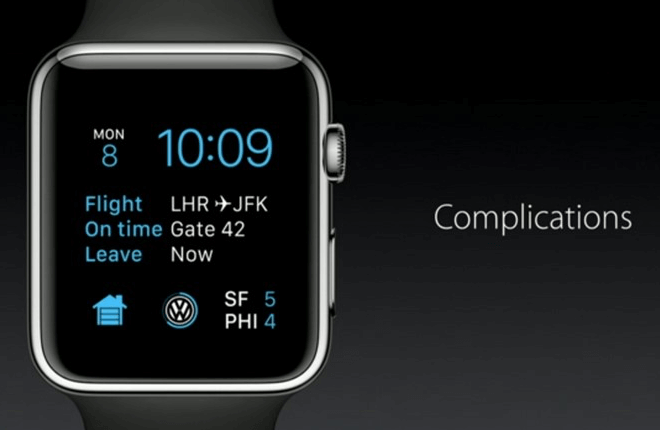 This third-party complication can contain top story, time, weather details, flight details etc. Time travel feature allows you travel in feature by simply rotating the digital crown ahead. This allows you to see possible temperature/weather details, future meeting details etc. Transit has been added to apple maps which make it easier to find public transportation details. There has been more than 10,000 apple watch apps on appstore. Developer can do more with native apps such as display videos from apps, access hardware, microphone, speaker or health sensors. Below are some example of some amazing apps developed on watchOS 2.
i. Facebook messenger (which will be available on Apple Watch soon) allows you to send text, audio messages and share locations right from wrist. ii. iTranslate app allows to see and hear translation to almost 90 different languages. iii. GoPro app allows you to use Apple Watch as a miniature viewfinder for your GoPro action camera. iv. Airstrip app (which is medical focused) allows doctors with a close look at patient vitals, and also real-time feeds of heart rate and other details. v. Sense4Baby app can monitor heart-beat of unborn baby right from home. It also allows mother to send health statistics of her unborn baby directly to doctor right from her wrist. Apple Watch is now available with two new finishes i.e gold and rose gold and comes in both 38mm and 43 mm size. This is available at same price as other Apple Watch editions. 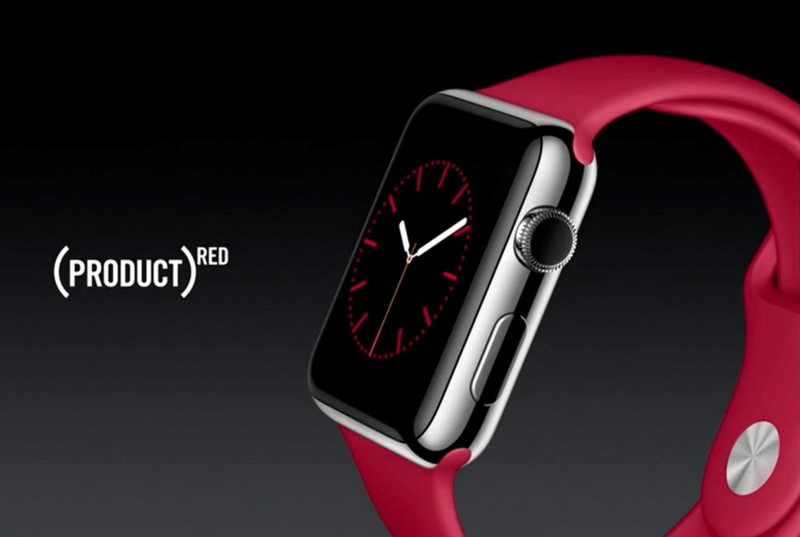 Apple has announced a (PRODUCT) RED Sport Band for Apple Watch. Apple donates certain portion of the proceeds from (PRODUCT)RED-branded items to the Global Fund to help the fight against HIV and AIDS in Africa continent. The ease of changing band is prominent feature of Apple Watch. Apple will release new shades of band for Apple Watch in its retail outlets. New watch models announced at Apple Event is available on the same day of event as well as watchOS 2 is available from September 16, 2015. Apple has announced iPad Pro which is considered to be biggest since the launch of iPad. It is most powerful and capable iPad that Apple has ever created. It has huge screen and is biggest of all iPad since its launch. It is about 12.9 inch in size across diagonal and 2732 * 2048 in pixel and can contain around 5.6 million pixels (which is even more than pixels available in 15 inch Macbook pro with retina display). It provides high performance when compared to all other iOS device. Photos look really great in iPad pro with great detail and rich colors. 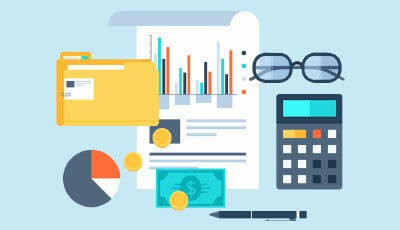 Documents can be read in full-size with leisure size font text. Watching movie on iPad pro is really amazing experience. It has most advanced display that Apple has ever built. – Photo alignment that helps in aligning photo on-axis contrast ratio. – It has been made from Oxide TFT which helps in lining up pixels quickly in uniform color and brightness. – Variable refresh rate has been added that helps in saving power if pixels are moving quickly. – It has A9X 3rd generation 64-bit chip built inside. This provides twice memory bandwidth of A8X and two times faster storage performance. It is 1.8x times faster than A8X processor which is same as desktop-class CPU. Graphics performance is 2x faster than A8X processor which is same as Console-class GPU. 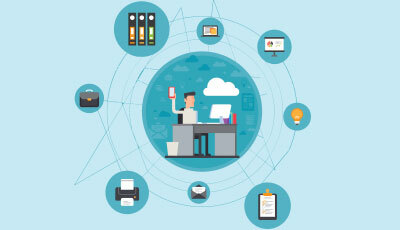 – It is faster than 80% of portable PCs that have been shipped last month. – It has got four speakers balanced on all sides that helps in generating stereo-type sound. 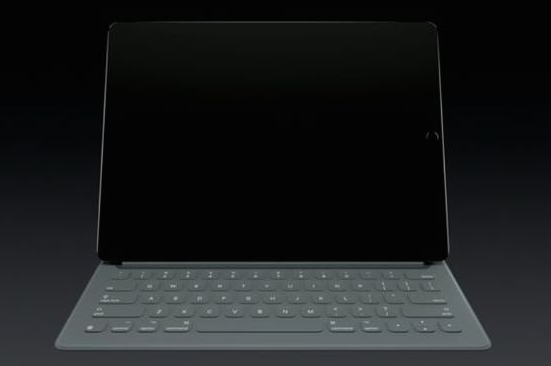 iPad Pro has got an accessory keyboard called as Smart Keyboard which replaces software keyboard when in use. It is unlike to other keyboard used before. It is covered with fabric that helps in feeling each key when typed on. Each key is built with dome switch which is same as used in Macbook Pro. It can be connected to iPad Pro using smart connector (three circle on sides of iPad pro). This smart connector carries power and data and connects magnetically. This smart keyboard has been specifically designed for iPad Pro. 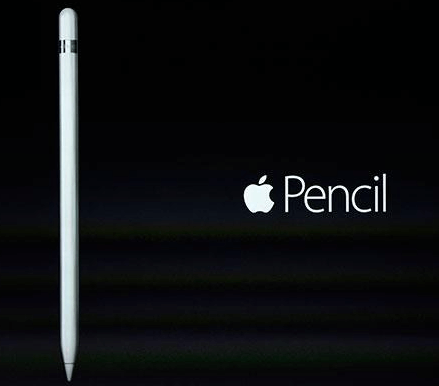 Apple has introduced another new accessory called Apple Pencil specifically designed for iPad Pro. 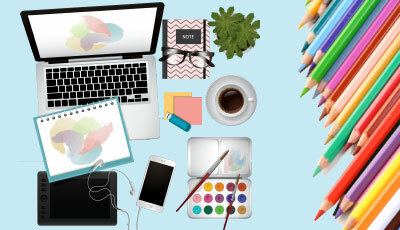 It is particularly designed to address details as well as precision on iPad Pro while drawing. You can draw a light stoke by moving pencil gently on iPad pro and dark stroke by pressing it a bit hard on iPad Pro. You can charge it using connector present on top of pencil. Microsoft Office is supported on iPad Pro. You can view MS Word as well as MS Excel side-by-side using split-view multitasking feature of iOS 9. Microsoft Office has great support for Apple Pencil. Powerpoint has got feature of shape recognition for almost 20 different objects. Adobe’s Comp app as well as Photoshop Fix app will support the iPad’s split-view multitasking in iOS 9 for iPad Pro. Photoshop Fix app will provide face detection and can handle images up to 50 megapixels in size. Sketch app will be optimized for iPad Pro device and will support use of Apple Pencil. These will be made available only in October 2015. Apple is working with several big Medical firms and Universities to bring several interesting third-party apps to the iPad Pro. One such app demonstrated at Apple Event is 3D 4 Medical. This app leverages the graphical power of the iPad Pro to help doctors educate patients by showing them a picture of their injury on 3D models. This app allows doctors to zoom into detailed anatomical models to show animated bones, muscles and skin together. 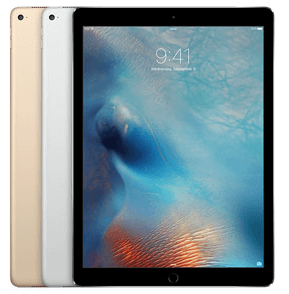 iPad Pro comes in three finishes i.e. silver, gold and space grey. The pricing for iPad Pro is $799 for 32 GB, $949 for 128 GB (both are WiFi enabled) and $1079 for 128 GB (WiFi and Cellular enabled). The pricing for iPad Pro accessory i.e. Apple Pencil is $99 and Smart Keyboard is $169. iPad Pro and its accessories will be available starting this November. TV plays huge role in our life. It occupies important place in enjoying life together. The future of TV is with Apps. 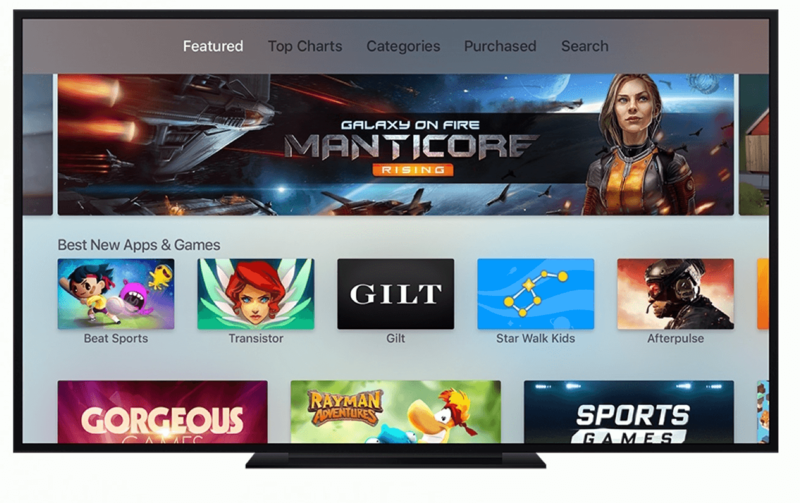 The new Apple TV has powerful hardware, Modern OS, has new user experience, great developer tools and has large collection of apps on App Store. 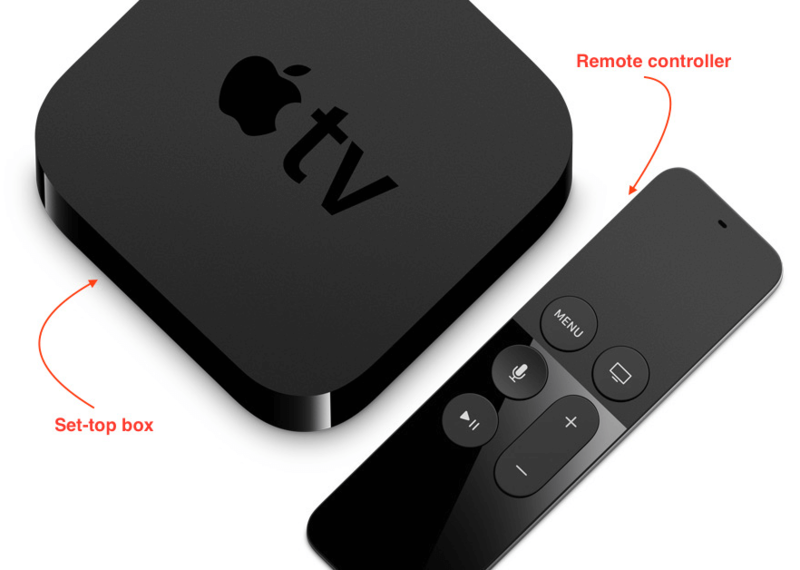 You can interact with new Apple TV using Siri or Touch Surface of remote. The new remote has glass surface touch on-top that makes it fluid and precise to move around. You can interact with TV using Siri by simply holding Siri button on remote. Siri will search for content on iTunes, NetFlix, hulu, HBO, Showtime and much more to be added later on. Apple has added stunning screensaver exclusively for new Apple TV and it will display screensaver as per time i.e. day time screensaver will be display in day and vice-versa. The feature of iOS on iPhone has been incorporated into Apple TV to make it beautiful UI and interactive. You can search for movie based on actor, director or date using Siri. Siri provides details of movie such as about movie, its star cast when requested. You can even ask Siri what was last statement by actor/actress while watching movie. Siri even allows you to move forward or backward while watching movie. It even allows you to get details such as weather information, sports score in middle of watching movie. Apple has introduced new OS for Apple TV which is called as tvOS. Developing apps on this tvOS is really great. Developers can use Xcode and other frameworks such as GameKit, CoreGraphics, MediaToolbox, Metal etc in their tvOS app. 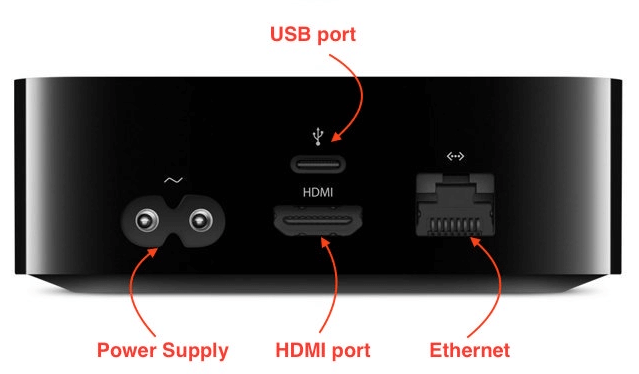 The new Apple TV will bring unique gaming experiences into a user’s living room. The first experience the company showcased was a co-op Crossy Road experience that lets one player use the new Apple TV remote and another use an iPhone or iPod touch to control various characters in the game. Apple also showcased an upcoming game from Harmonix called as Beats Sports. This game takes a “Wii Sports” angle on the music rhythm genre, letting users play games like tennis along with the beat of the music. It allows upto four players to play the game simultaneously with the use of an iPhone or an iPod touch. The new Apple TV allows you to shop easily for clothes from GILT with a simple click of the remote. It displays an iTunes-like carousel of clothing options, including sizes and pricing. 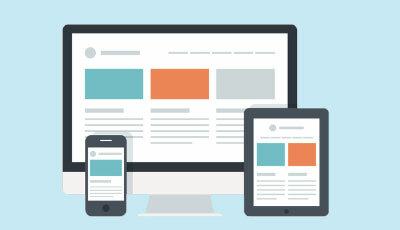 It is estimated figure that about 80% percent of GILT’s mobile sales come from iOS device. This new TV also includes new features for streaming sports content from MLB.TV and NBA League Pass. The pricing of Apple TV is $149 for 32 GB and $199 for 64 GB flash storage. The new Apple TV will be available in over 80 countries this October and around 100 countries by end of the year. iPhone has been embraced by customers from around the world. This device has been increasing leaps-and-bounds not only in US but all over countries. According to statistics report iPhone has grew three-and-half times as compared to other industry in last quarter. There has been stunning growth in China which is about 75% as compared to rest of industry. 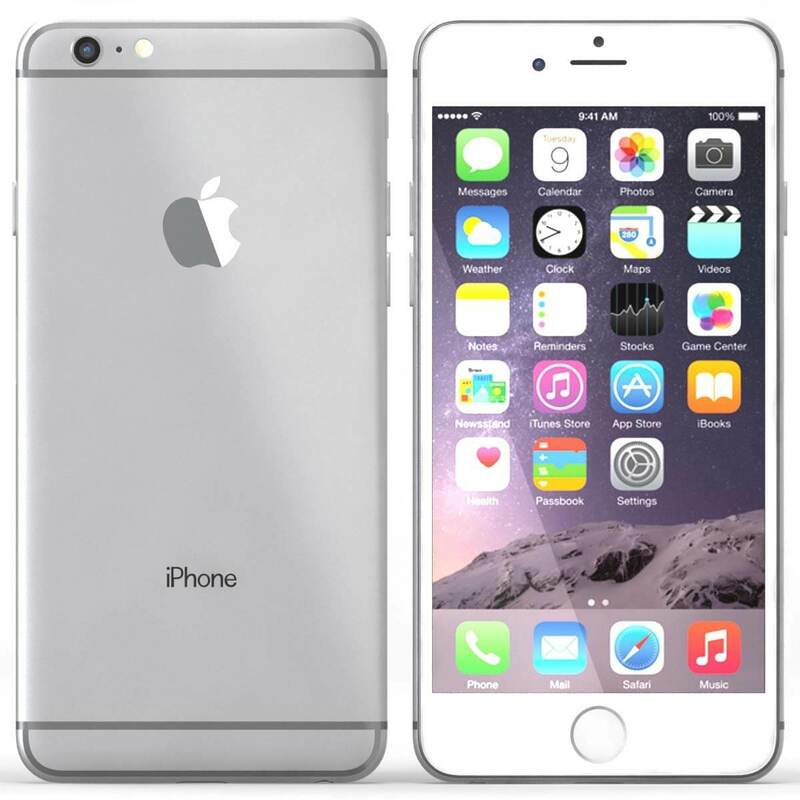 iPhone 6 has been most popular iPhone device that Apple has launched. Apple has launched iPhone 6S and iPhone 6S plus during the apple event itself. 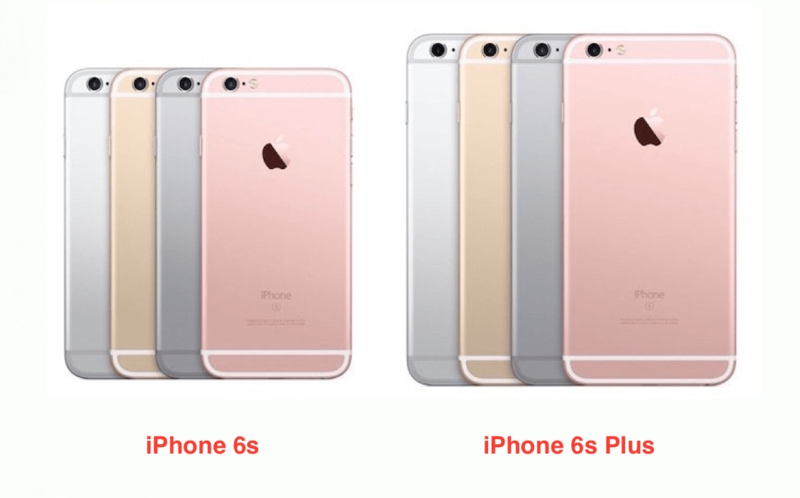 The iPhone 6S comes in four different colours i.e. silver, gold, space grey and rose gold. This comes in two size i.e. iPhone 6S which is 4.7 inch and iPhone 6S plus which is 5.5 inch retina display. Multi-touch feature has been taken to whole new level in iPhone 6S and iPhone 6S plus which is called as 3D Touch (also known as Force Touch). This new 3D touch will be going to be future of multi-touch. It has new gestures peek and pop along with familiar gestures. It works on home-screen giving you shortcut for things you do frequently. It also works on inside application viz press lightly to peek and continue pressing to pop content you are pressing. iPhone 6S and iPhone 6S plus is built on 3rd generation 64-bit A9 chip. It has completely new transistor architecture and is optimised for real-world use. As compared to A8 chip it provides 70% faster CPU processing which is equivalent to Desktop-class CPU performance. On the other hand, graphics task is upto 90% faster and is more over equivalent to console-class GPU. It has M9 motion coprocessor directly embedded onto the chip which helps in tracking things like health fitness and is always on. This new iPhone device contains 2nd generation Touch ID and is upto two times faster in recognising finger print. It has incredible all-new 12 MP iSight camera. iPhone 6S and iPhone 6S plus can take stunning photos with great detail. You can take HD Video and even 4K video with this new device. 4K videos have higher degree of detail with 8 million pixels. It has also 5MP FaceTime HD camera that can be used to take incredibly detailed selfies! It has also great true-tone flash which helps in matching the ambiance of light to give more accurate flash light colour. This flash can also be used by front camera (which uses Retina Flash and True Tone) to generate high quality selfies that are 3x brighter. The 3D touch on photos provides entirely new feature called Live Photos. Live Photos are 12 MP high-quality still images which extends the captured moments. It is efficient frame-to-frame technology. There is new three concentric circle like button present in camera-mode indicates Live Photos is enabled. Live Photo is enabled by default and you need not take any extra step to perform Live Photos. 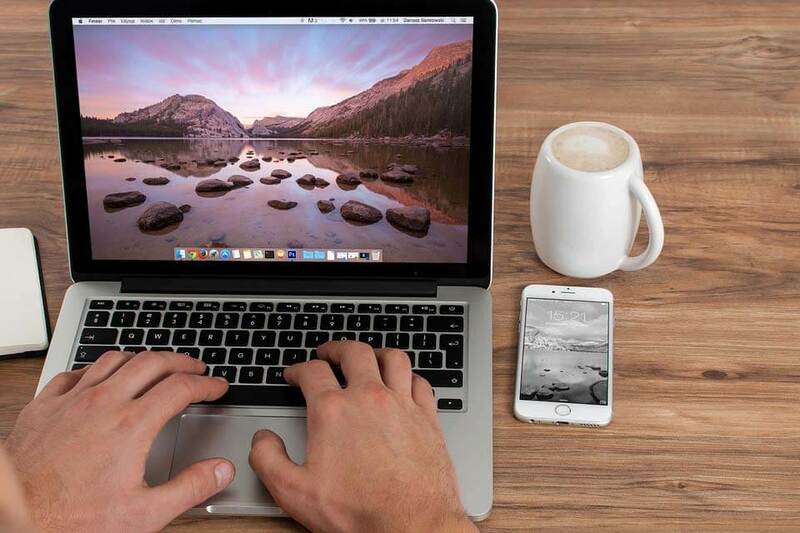 This new feature is available across all Apple device such as OS X El Capitan, iPad, iPhone and even Apple Watch. These are same as that of iPhone 6 and 6 Plus. These new device were available in US starting September 12, 2015 and is available in rest of countries by end of the year.